Chatham Memorial Synagogue was built in 1861 by Simon Magnus, in memory of his son Lazarus, on the site of an even older Synagogue. It is actually located in the historic city of Rochester sbout 35 miles south-east of London. 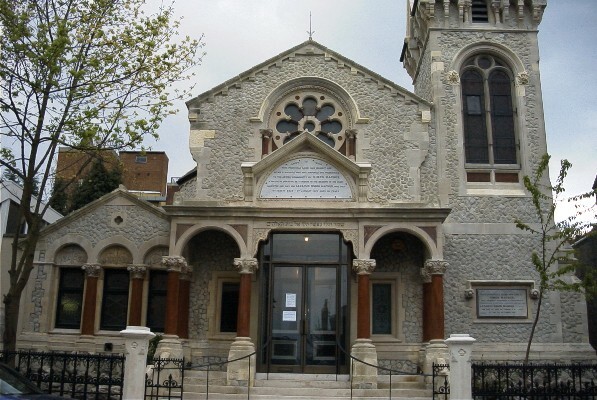 The synagogue building has been recently restored and is a grade II* listed building. The community is an independent traditional synagogue which welcomes members from all the Jewish traditions. Chatham Memorial Synagogue holds regular Friday evening services every week and holds a family Shabbat morning service (with a children’s group in the synagogue hall) on the first Saturday of each calendar month. A full calendar of services is held on the High Holydays and services are held on other festivals where possible. The synagogue also holds social and cultural events and is very conscious of the community’s responsibilities in the field of education.